Cincinnati's skyline has been updated by the addition the the Great American building which is topped by the so called "tiara". 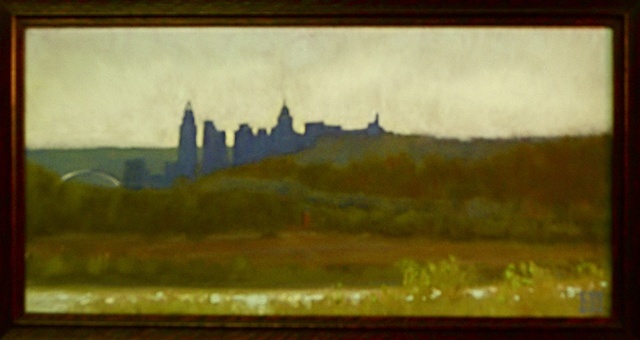 This painting captures the new skyline sillouetted against the evening sky. This painting includes a 3" quartersawn oak frame by the artist.